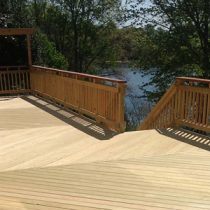 Our treated decking is an above-ground kiln-dried premium select grade. We have chosen to keep our decking above-ground to keep the decking more stable and visually beautiful. 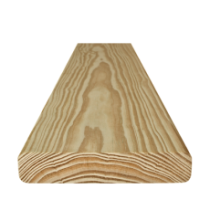 Although it is necessary to treat the larger boards and timbers being used as structural elements, the heavier treatments leave the boards less stable and more likely to warp, twist, crack and check. 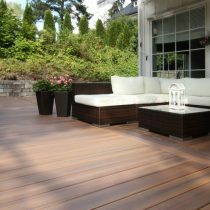 We recommend instead to install above-ground decking boards properly, as listed on our article How to Improve Your Deck . We offer the PREMIUM Culpeper Treated Lumber Warranty. This gives you peace of mind with a 20 year pro-rated warranty that not only covers your lumber, but also labor, fasteners and connectors. Just purchase your lumber here and follow the Culpeper installation guidelines to be covered by the PREMIUM Warranty.